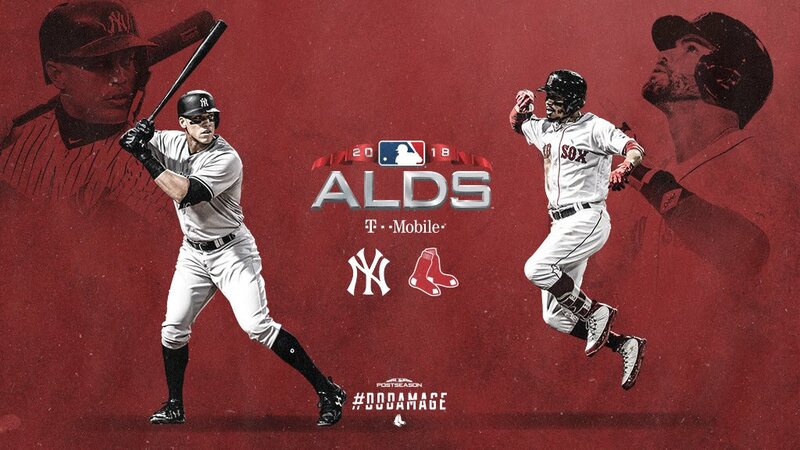 Tonight will mark the first time that the Red Sox and Yankees have faced each other in the postseason since that historic, curse-shattering night back in 2004 when, after falling behind 0-3 — a deficit from which no team had ever recovered in a best-of-7 series — the Red Sox completed the greatest comeback of all time … and, conversely, the Yankees executed the biggest choke in the history of professional sports. I have been riding the vicarious high from that achievement for the past 14 years, and I am not ready to see its devastating impact on New York fans softened by a Yankees victory in the 2018 ALDS. I’d love to say I’m not nervous. There are plenty of reasons not to be. The 2018 American League East Champions were the best team in baseball throughout the regular season, and won more games than any team in the history of their storied franchise. But this is not the regular season; this is the postseason … and the Red Sox, who also won their division the previous two years, are 1-6 in postseason play over their last two ALDS appearances. As if that isn’t worrisome enough, the top-three pitchers in the starting rotation — Sale, Price and Porcello — are a combined 0-11 in postseason starts … and nothing is more critical in the postseason than starting pitching. I still remember being convinced that Porcello, the 2016 Cy Young Award winner, would post a win in that year’s ALDS Game 1. Nope. I still remember wishing, hoping and praying that David Price — who then, as now, was 0-8 in postseason starts — would finally rise to the occasion in Game 2. Nope. And I don’t even want to talk about Game 3, which ended up being a horribly anticlimactic end to David Ortiz’s career. My son wanted Oakland to win Wednesday night’s A.L. Wild Card game. He felt they were the easier team for Boston to defeat in the ALDS … and, based on how the Yankees steamrolled the A’s in the Bronx two nights ago, he probably had a point. After watching the Sox get swept in the first round two years back and going 1-3 last year, I don’t blame him for wanting the odds stacked in our favor, but, dude: Red Sox vs. Yankees in the postseason? C’mon.